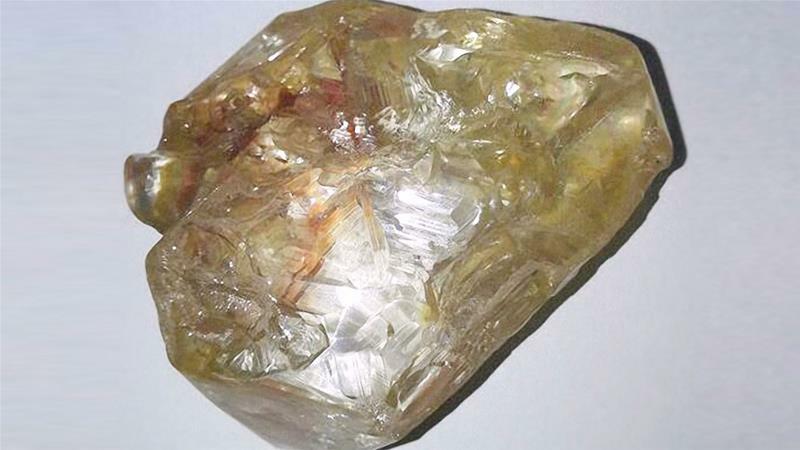 The diamond will be sold in Sierra Leone with a "transparent" bidding process to the benefit of the community and country, the statement said. "I have to help the government and my people, so all of us can benefit," presidential spokesman Abdulai Bayraytay quoted the pastor as saying. Sierra Leone's government has attempted to crack down on cross-border diamond trafficking to persuade foreign investors that "blood diamonds" that fuelled its civil war are a thing of the past. Diamond expert Paul Zimnisky told the AFP news agency that once the gem's quality was assessed it could rank "between the 10th and 15th largest gem-diamonds ever recovered". The US-based analyst said such a find by a so-called artisanal miner, the term for workers who use basic tools or their bare hands to sift the earth, was highly unusual. "Most recent exceptional diamond discoveries have been made by large commercial miners that mine very large volumes of kimberlite ore and process it with advanced equipment," Zimnisky said. Even though diamonds can be found in about a quarter of Sierra Leone, the country of about six million people is one of the world's five poorest nations, according to the United Nations.